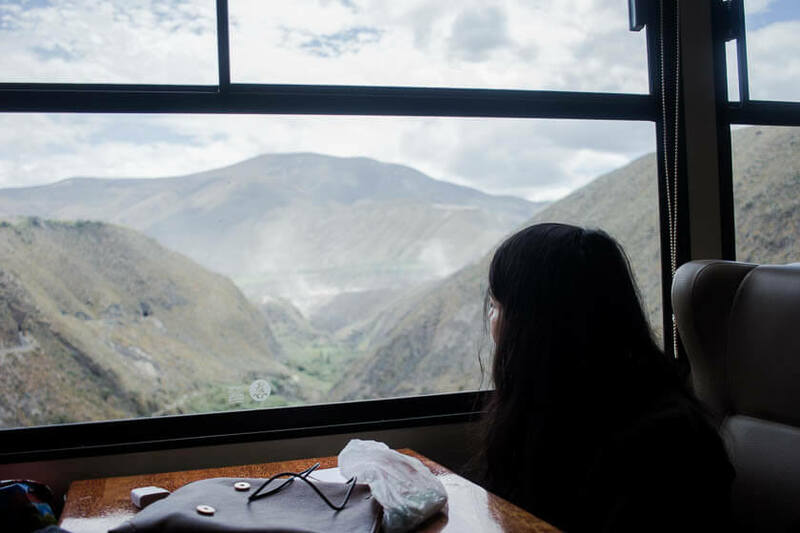 I love train journeys, and when you visit a country that is so diverse and beautiful as Ecuador, a train journey is an absolute must-do. There are many historical train routes in Ecuador and you can take day trips as well as multiple-day train journeys to see the country change at minimum speed. 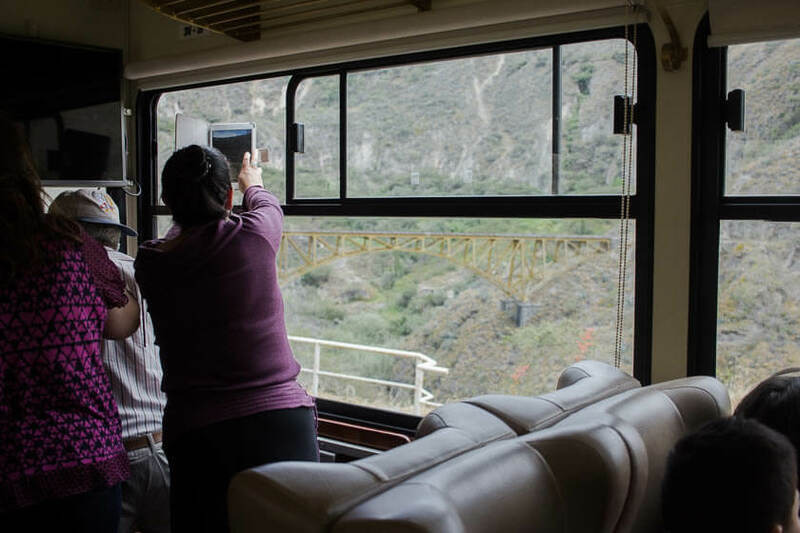 I had the pleasure of fitting a day trip with the Liberty Train (Tren de la Libertad) from Ibarra to Salinas into my tight schedule, and can only recommend that you do the same! For seconds now, I’ve sat in the pitch black. I wouldn’t mind under normal circumstances, but right now I’m on a train that is easily a hundred years old, surrounded by strangers. When you’re on a train and it’s pitch black, it can only mean one thing: you are in a tunnel. A few moments ago, I could see the lush green vegetation next to the tracks; now, nothing. But there – I can see the light at the end of the tunnel – quite literally. As it slowly becomes brighter again in the cabin, and I see that everybody else is still here, and merry, I relax. There, we’re out again – and what a view it is! 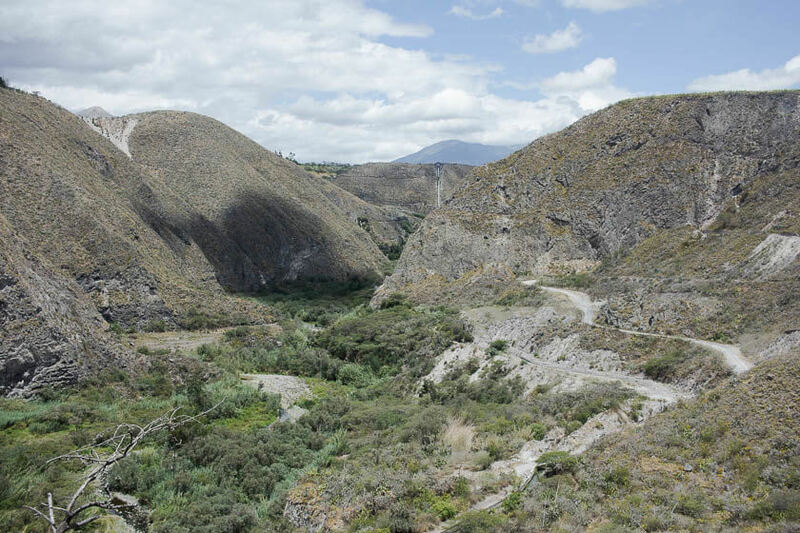 The route from Ibarra to Salinas is a very special train journey, because it climbs and drops 600m in elevation between the “White City” Ibarra and Salinas, which is one of the few places in Ecuador with a thriving native Afro-Ecuadorian population. 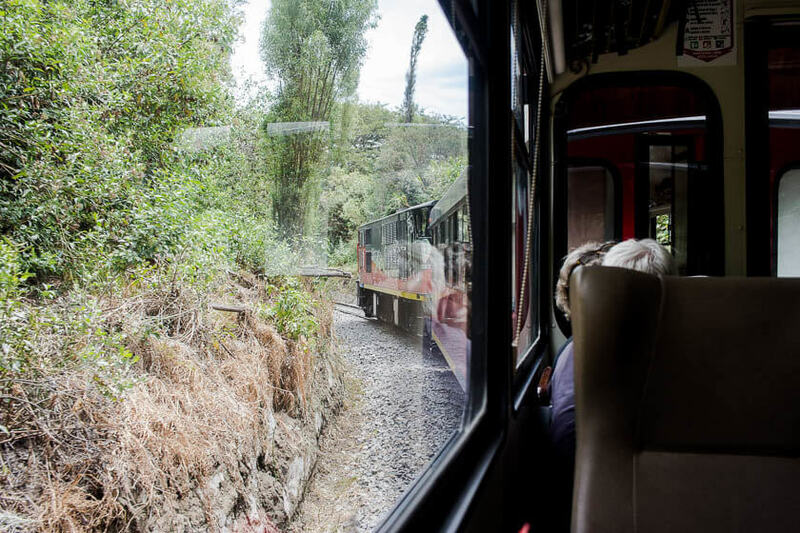 The train route was once a significant means of transporting textile goods from northern Ecuador to the rest of the country, but today it is mostly maintained for tourists. I boarded the train in Ibarra around noon, but soon left the signs of a bustling city behind. 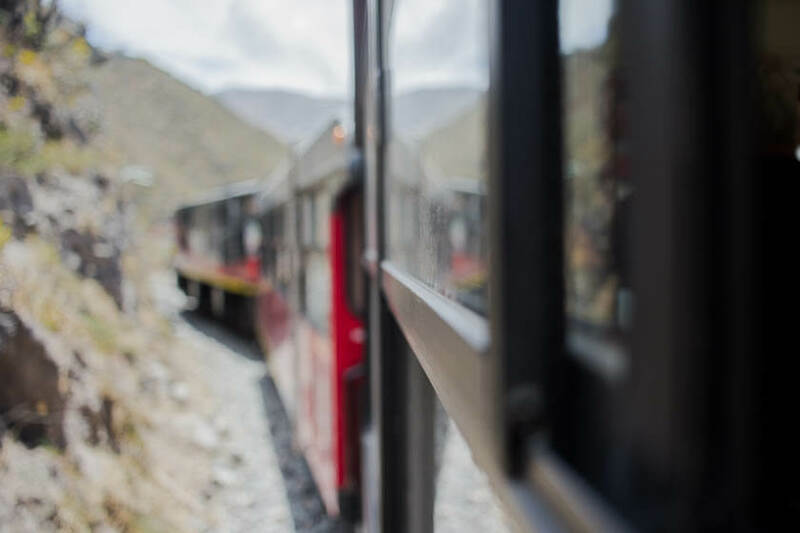 The train makes its way through and up into the Andean mountains, climbing slowly, gaining height. The route has a total of seven tunnels which were dug into the rock over 100 hundred years ago with little more than picks and shovels. With every tunnel you enter and leave again, the landscape changes. Darkness gives way to breathtaking views so beautiful that the train slows down or even stops to allow passengers to take photos and capture these moments of joy. My fear becomes real though, whenever we cross one of the ancient-looking railway bridges. 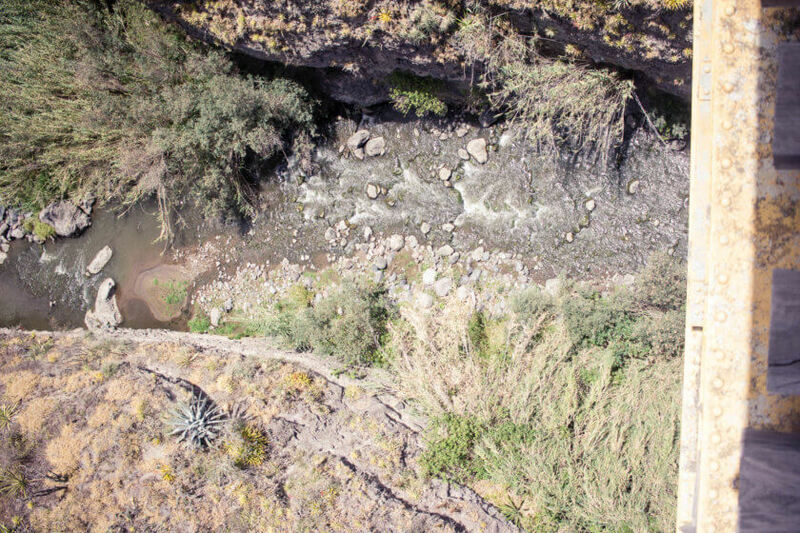 I have a window seat and it would have been a shame not to look outside, but the sudden realization that I’m on an old bridge in an old train, hundreds of meters above a valley, nothing but sparse vegetation and fast-flowing rivers underneath me, still gives me the creeps. This train line is one of Ecuador’s most popular tourist train routes, and of course the trains and tracks are routinely checked and maintained. But my brain does not care so much about the sober facts. And so, I steer my eyes into the distance, to look at some more scenery. 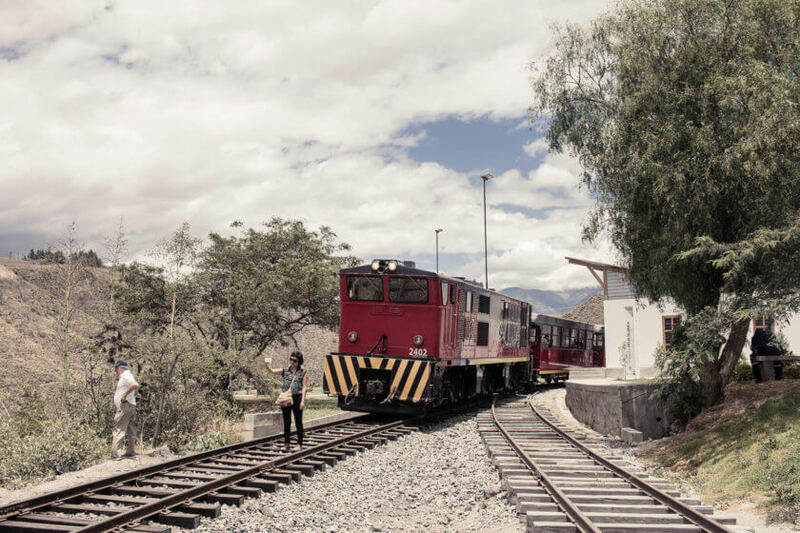 On the way to Salinas the train stops in Hoja Blanca, giving passengers the opportunity to stretch their legs, stock up on fresh water and buy some sweet ice cream to calm their nerves. 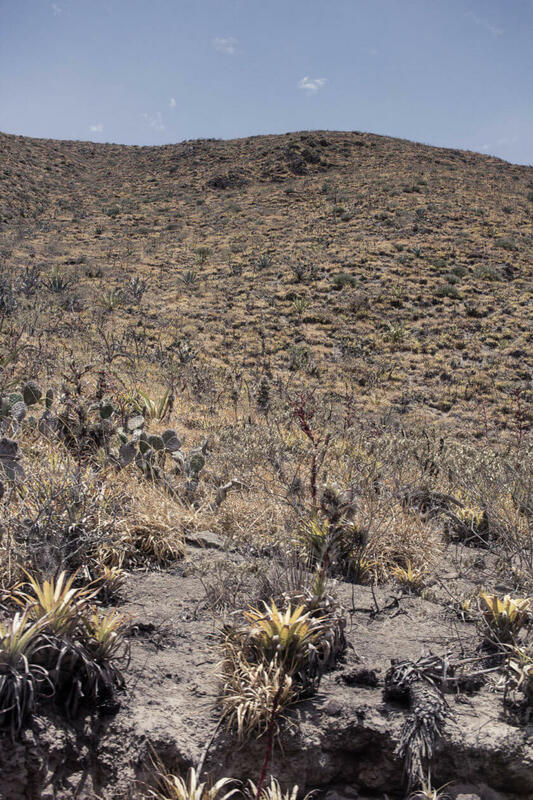 That and the serene beauty of the landscape high up on this plateau are worth every nervous second. 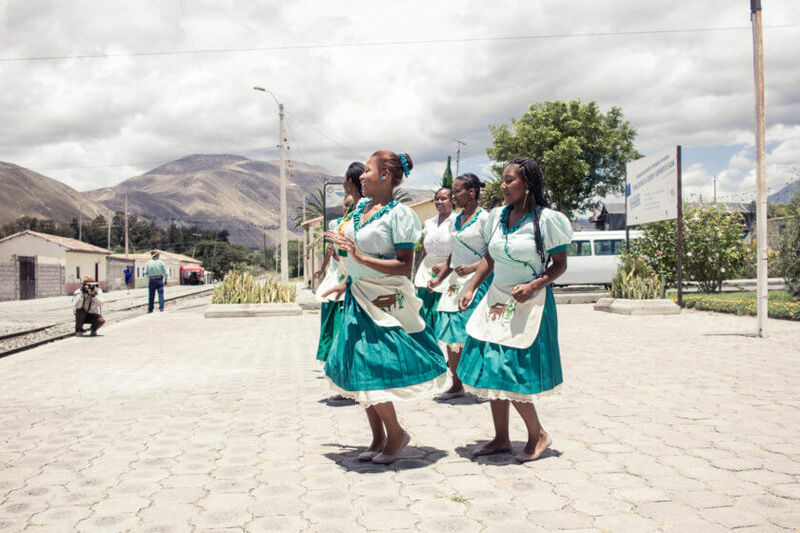 The journey to Salinas takes about 2 hours and on arrival passengers are welcomed with a traditional “Bomba” performance by a local dance group. It all feels a little too touristy for my taste, but to see that in Salinas the Afro-Ecuadorian heritage and culture is celebrated to this extent makes me happy nevertheless. Unfortunately, this is not the case everywhere in South America. 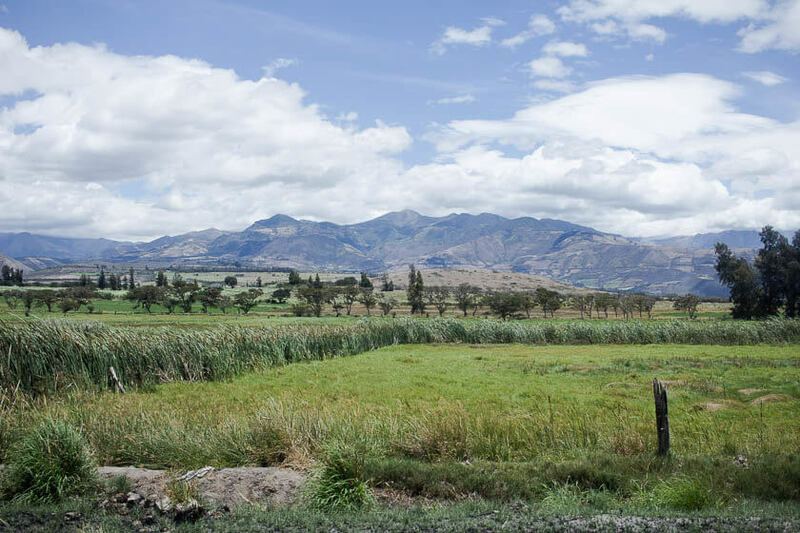 Sadly, I had to leave Salinas early and was picked up by a driver to make it back to Quito in time for my flight to Galapagos the next day, but here is what I missed – and what you would experience if you sign up for a day trip with the Tren de la Libertad as well. In Salinas you have about 1.5 – 2 hours to spend. 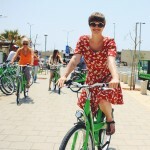 The tour includes entrance to the salt museum as well as a guided walk through the city. A special highlight is a visit to the arts square where you can find colorful murals commemorating the history and culture of Afro-Ecuadorian people. After you’ve explored Salinas, you take the train back to Ibarra and reach the city around 4.30pm. You can book your tickets for this day tour in advance here, which I’d recommend seeing that it is a very popular activity in northern Ecuador. The ticket is $39 and includes the train journey, an onboard guide and snacks, lunch in Salinas, entrance to the salt museum and a guided walk through Salinas. To get to Ibarra, you first need to travel from Quito to Otavalo (definitely check out the market there) by bus or taxi/private driver (~ 2h). From Otavalo you can get another bus to Ibarra (~ 30 min). I suggest spending the night before your train journey in Otavalo and then take an early morning bus to Ibarra in time for your boarding time. For the day trip I recommend bringing plenty of water, sunscreen and sun protection, insect repellent and a light jacket. 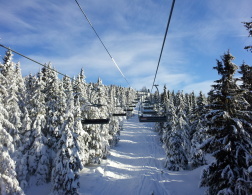 Even if you travel on a sunny day, you are traveling in high elevation, which means it can get chilly. 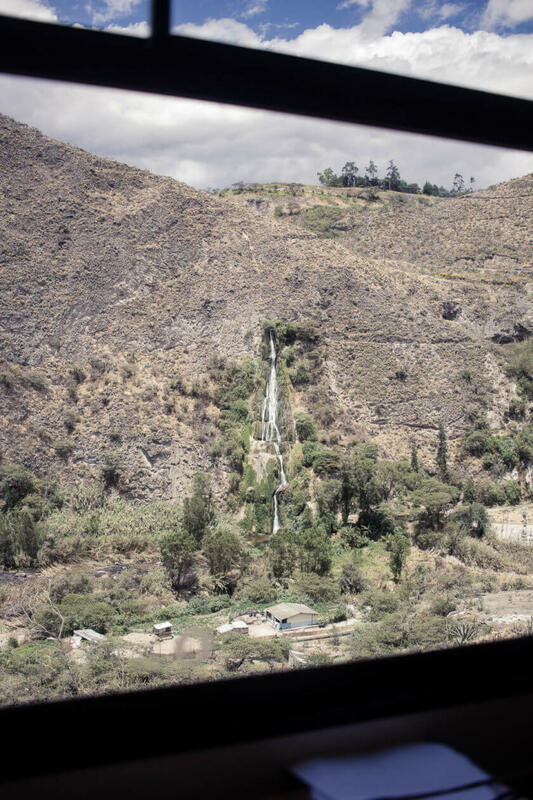 Even though my journey on Tren de la Libertad was over way too soon, I will always remember that feeling of joy when I saw the landscape change, and the sense of really getting to know a country that you can only get from a long train ride. 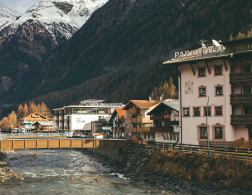 What’s the most beautiful train journey you’ve ever taken? All photos by Kathi Kamleitner. Wow that really does look amazing! 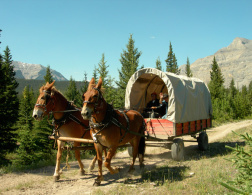 I have never taken a train ride like that at all, but I have always thought it would be a fun way to travel somewhere.